What is the purpose of a business? The funny-because-it’s-true joke in the HBO comedy Silicon Valley was that every startup professed to want to ‘change the world’. In reality, the purpose of a business is a bit more prosaic – ‘business thinker’ Peter Drucker defines it thus: ‘to create a customer’. It is the customer who determines what a business is…What the business thinks it produces is not of first importance – especially not to the future of the business and to its success. What the customer thinks he is buying, what he considers “value” is decisive – it determines what a business is, what it produces and whether it will prosper. It was this observation that led Drucker to state that a business has two basic functions – marketing and innovation. All of this chimes nicely with the current vogue for customer focus. There’s a small piece in Forbes about Drucker’s assertion in which Jack Trout details what he believes this means for any business. The need to stand out from the crowd, know your competition, have the credentials to back up your claims, and properly articulate your difference (thereby influencing customer perceptions). But what has this got to do with company culture? This is a deceptively simple summation of an innovative leader and helps us to understand the importance of company culture. If everybody in the business understands where the product and brand is going, and how it is they should get there, company culture (or the shared assumptions on this journey) should follow. Of course, in many organisations culture and leadership are to some extent symbiotic – you only have to look at the difficulties inherent in digitally transforming a big business to see that. Or look at mergers and acquisitions (which often don’t succeed). Smaller successful companies with strong cultures and leaders find themselves side by side with different cultures and under the auspices of new leaders. In martech and agency land, consolidation is continuing apace. One of the most noted acquistions was that of Fjord, the design agency, by Accenture Interactive in 2013 – the first agency to be bought by a big consultancy. Accenture Interactive has continued to build out its capabilities with the purchase of Karmarama and the forthcoming purchase of Sinnerschrader representing its ninth and tenth acquisitions since 2013. Fjord has its own treatise on how digital transformation must go hand in hand with the transformation of culture, known as the ‘living business’ concept. 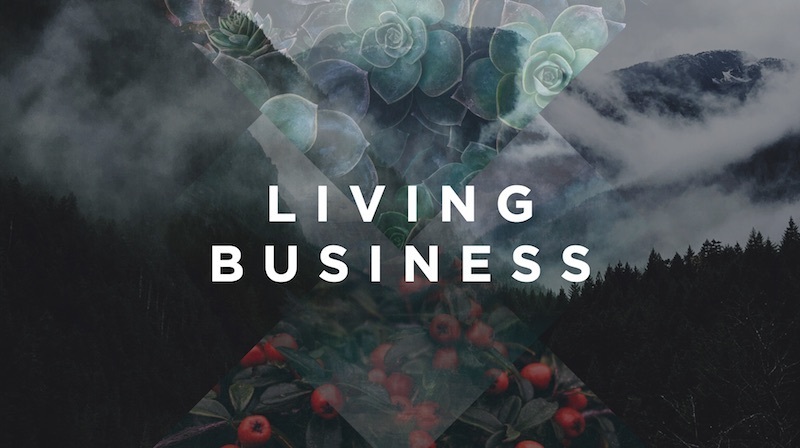 The ‘living business’ concept is in response to a changing business landscape brought about by digital technology, rising consumer expectations, and the ‘rising opportunity cost of employees not feeling engaged with their place of work, or too removed from its purpose’. Fjord asserts that business is really about people (customers, teams, colleagues, leaders) and that organisations should exhibit the following four human traits. Personality – Your purpose and values as an organisation: how much people reflect it and feel empowered by it – customers and employees alike. Instinct – The way in which your organisation takes decisions and adapts to change. The flow of work that rallies people across structures and hierarchies. Relationships – How it feels to do business with your organisation, as a customer, but – crucially – as employees. The ease with which you forge new collaborations. Craft – How much your organisation values people’s inputs and contributions. How set up you are for nurturing talent and skill. To demonstrate what this means in practice, Fjord gives a number of examples. They include Airbnb, which has a Head of Employee Experience not a Head of HR. This role transcends marketing, comms, real estate, corporate social responsibility and traditional HR. Elsewhere, FedEx has created a six-month Emotional Intelligence (EQ) training program for new managers. This encourages people-first leadership even in a business moving at pace. Peer learning is cultured by certifying some employees as EQ trainers themselves. At Fiat Chrysler, CEO Sergio Marchionne has streamlined senior leadership but given them more freedom to act by reducing bureaucracy. He has also moved his office from the upper floors to the middle of the engineering department, reasoning that “nothing happens up there”. To find out more about the living business concept and how Fjord is handling its own cultural integration with Accenture, I recently caught up with Fjord’s London managing director Abbie Walsh and Accenture Interactive managing director Joydeep Bhattacharya. Indeed, Accenture Interactive overhauled its annual performance reviews and replaced them with a more fluid system of ongoing feedback. As the Washington Post points out, research from CEB shows that 6% of the Fortune 500 have adopted this approach, getting rid of rankings. Investment in culture and learning has been forthcoming, too, with an annual cultural event where the companies learn from each other (Equinox) and an expanded global learning program at Fjord (Evolution). This training program is growing in reach and scope and is also being taken into Accenture Interactive. That means a shared language can be developed, and all parties can better understand what it means to be a Fjordian. When I asked Fjord MD Walsh about how recruitment supports company culture, and whether soft skills were in greater demand, Walsh was quick to highlight the need for diversity. Whatever level of business you focus on – whether it’s the design of services, digital transformation or the purpose of the business as a whole – people and how they are treated/empowered/organised are all-important. That includes the customer and the employee. That may sound trite but the hangover from the make-money 1980s is still felt by some. This is changing as design thinking prioritises people as well as business and technology, and the purpose of business is widely seen to be about more than just creating shareholder value. Businesses are looking to help environmental and social causes, as well as create shareholder value, and this is mirrored in company culture that prioritises shared goals and traditions, personal development, a productive and enjoyable work environment, and a unified vision.